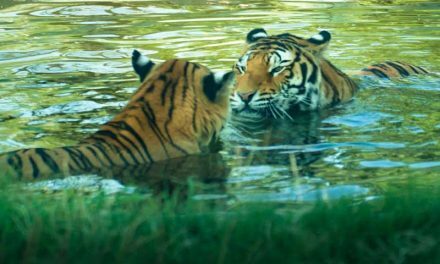 Tigers belong to the taxonomic order Carnivora, which mean that their diet is composed mainly of meat. Like all animals, they are heterotrophic organisms, so they must meet their nutritional requirements from other living beings. They look for both medium and large prey in the wild to feed on them. The animals they consume change according to the area where they live, as different species will be available in each region. They have no problem taking down animals larger than themselves including water buffaloes and bears. These cats are powerful and efficient predators with an anatomy designed for hunting. 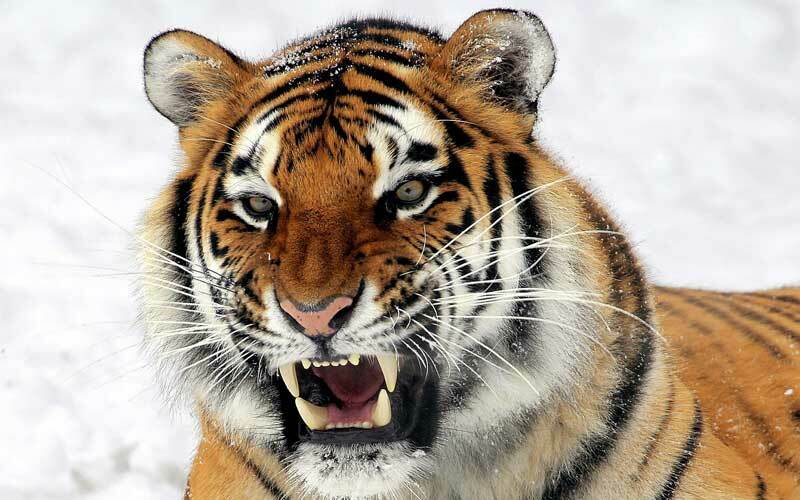 They have two large canine teeth and other sharp-edged teeth to cut the skin, flesh, and bones of prey. These functional dental pieces are the last upper premolar and the lower first molar. Like any carnivore, its clavicles are reduced or absent, while the scaphoid, central and lunar bones of the wrist fuse with the lunar-scapular bone. As Tigers digest meat quickly, they have a simple stomach and a short intestine. 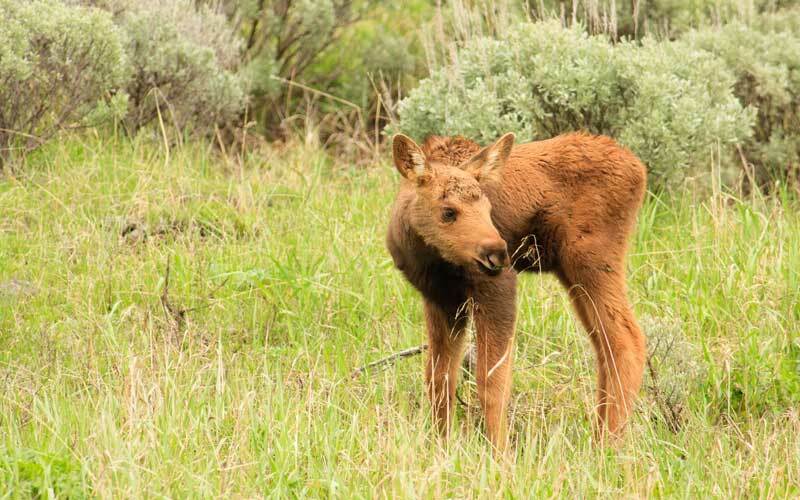 Young Moose, a common prey of the Siberian tiger. 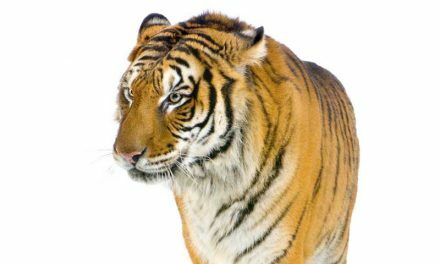 The Panthera tigris diet includes a large diversity of animals that are typically medium to large usually weighing more than 200 pounds, and even dare to attack other predators and animals of considerably larger size than theirs. Small animals make up a tiny part of their usual diet. 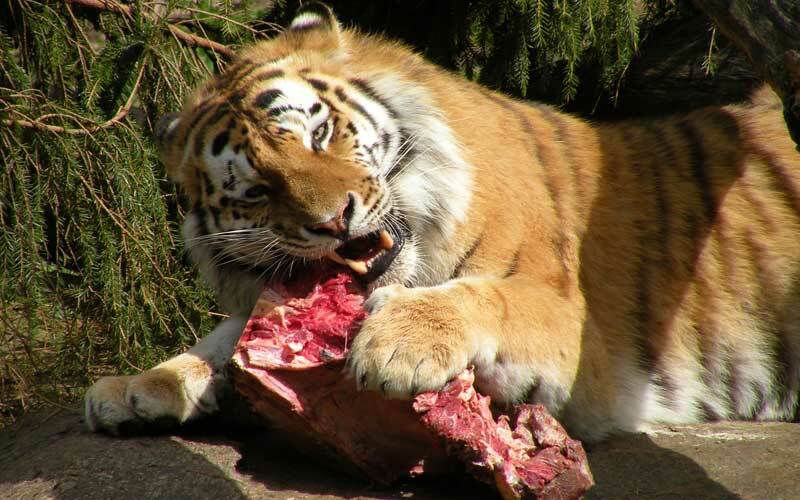 Tigers can stay up to two weeks without food, but when they catch prey, they can eat 75 pounds of meat at once. These cats are powerful and efficient predators with an anatomy designed for hunting. The animals they consume most are ungulates, those with hooves, which weigh more than 200 pounds as we said before. Among them, deer and wild pigs are some of the most common although the prey is different in every region. For example, those living in regions of India consume the following species: Sambar deer (Rusa unicolor), Barasingha or Swamp deer (Rucervus duvaucelii), wild boar (Sus scrofa), chital (Axis axis), wild water buffalo (Bubalus arnee), water buffalo (Bubalus bubalis), blue bull or Nilgai (Boselaphus tragocamelus) and gaur or Indian bison (Bos gaurus). In the Siberian region, tigers feed on the Manchurian wapiti (Cervus canadensis xanthopygus), Sika Deer (Cervus nippon), Siberian Roe deer (Capreolus pygargus), Moose (Alces alces) and Musk deer (Moschus). At Eastern Russia, they include brown bear (Ursus arctos) and Tibetan bear (Ursus thibetanus). 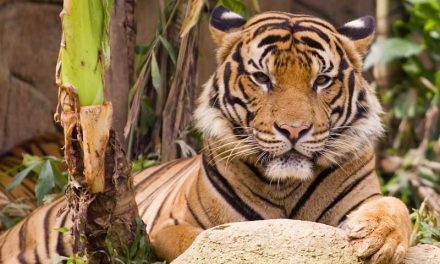 However, those tigers confined to the island of Sumatra feed on sambar deer, muntjac (Muntiacus), Malayan tapir (Tapirus indicus) and wild boar. Also, when needed, they can consume carnivores such as leopards, python snakes, crocodiles and wild dogs. Although out of the weight range of their usual prey, they can complement their diet with small species like monkeys, porcupines, fish and even some species of birds. Occasionally they attack the offspring of other mammals, and if there is scarcity, they may eat carrion, attack domestic livestock or even humans. However, it is important to know that although there have been reported cases of anthropophagy, they are unusual events driven by extraordinary circumstances, in addition to the lack of food. How do tigers get food? They can eat 75 pounds of meat at once. Tigers are opportunistic predators, and the availability of prey is one of their most basic requirements to inhabit a particular area. To hunt, they rely mainly on their senses of sight and hearing. Once they detect prey, they lurk silently at a considerable distance, camouflaging themselves with the tall grass. Then they surprise their victims attacking from behind or from the side giving them a powerful bite on the neck that breaks the vertebrae causing death by strangulation or by the rupture of the spinal cord. Some large specimens have been observed hitting the head of domestic cattle or breaking the backs of bears. Tigers don’t have much endurance to go a long distance after their prey, so they must make the kill in the initial attack. To preserve energy, they get very close to their prey before pouncing on it. They move stealthily through the area around to get closer. Their stripes help to camouflage them, so they aren’t seen until it is too late. They look for the young, the weak, or the old in a group of animals so that there is little chance that these animals can escape from them. Tigers have to be very careful with their prey though as a swift kick from some of them can severely injure or even kill them. For example, tigers often leave baby elephants and rhinos alone due to the wrath and the physical strength of their parents. Some scientists believe that tigers in the wild that have lost the speed or agility to hunt properly then can turn to villages in the area. There they may kill horses, dogs, cats, and even humans to get the sources of food that they need for survival. Most Tigers seek their food during the night, but some prefer hunting during the day. Even more, some others prefer to do it right at dawn or dusk. As Tigers can spend a few days without food, when they catch a prey they can eat up to 75 pounds at once, but usually, they consume a smaller amount. They have 30 teeth in their mouth that are extremely sharp. The incisors are used to grab the prey and kill it. They are also used to remove chunks of meat from the bones. They use the canine teeth for killing and biting their prey and the molars for chewing the flesh. 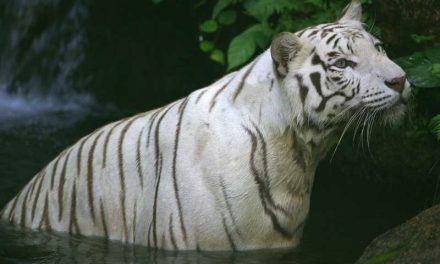 Tigers consume water from streams and lakes.